This time I write my message in English, so as to be sure my Portugese horse trainer Fabio Nunes can read it as well. ” Now it is your turn again to mount him again, just do as I told you, you can do it” was his message yesterday after I had dismounted and given my horse to him to take over. “You are now learning the difference of treating a horse as a pet, and a horse as a horse.” I must admit that for a long time I did try to treat him as a pet. But he does not accept this from me. It is leadership and a brave heart he wants. Exactly my soft spot. My horse has been trained by Fabio for some time now and is skillful in all dressage ways. But me, well I still have to learn a lot. My brain is as quick as anything, my body has more of a turtle.. And such it happend that my horse gave me some wild jumps yesterday while I “just” tried to make him canter. Fabio took over and it became quickly clear that it was just me.. not pushing the right buttons, and Jugueton trying to impress me. I must admit I was impressed, and did have to swallow before getting up again: Jugueton did try me again, but, with Fabio’s encouraging presence next to me I did it, conquered my fear. Cantering again in harmony with my strong willed horse gave me such a royal proud victorious feeling, it suddenly made me think of the Portugese king Dom Duarte, I first read about when I was in Portugal, in a strainful period being overwhelmed by fear and uncertainty. 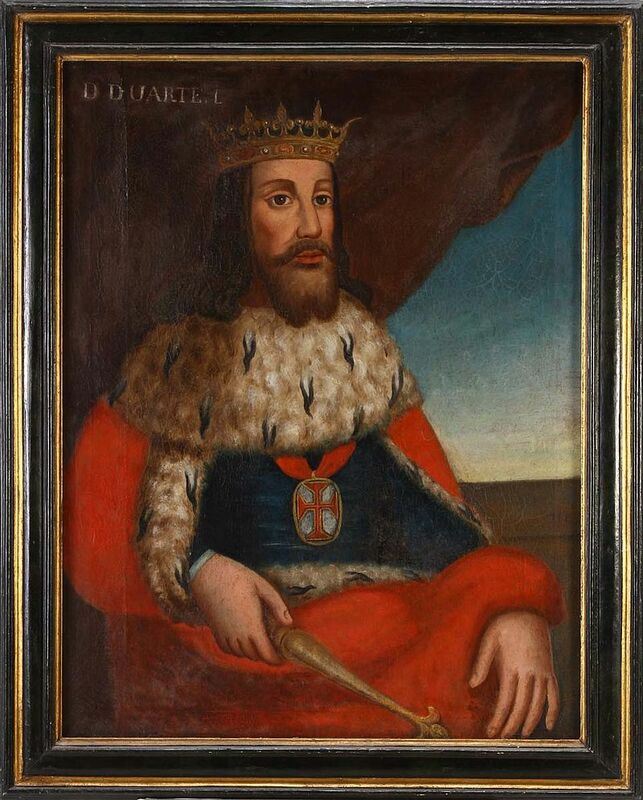 This king of Duarte, 1391–1438, king of Portugal (1433–38), was a “philosopher-king,” notable for his legal reforms. But, he also wrote a book on horsemanship and fear : Livro Da Ensinança De Bem Cavalgar Toda Sela (“Book of Teachings on Riding Well on Every Saddle”). Who has ever found another king writing on fear and how to deal with it! On internet I found this inspiring site, capturing his wisdom and that of others, of which I will share some quotes. I feel so grateful I am following this path being coached to stretch my comfort zone by a fellow countryman of this wise king, some blood of him must run through his veins!